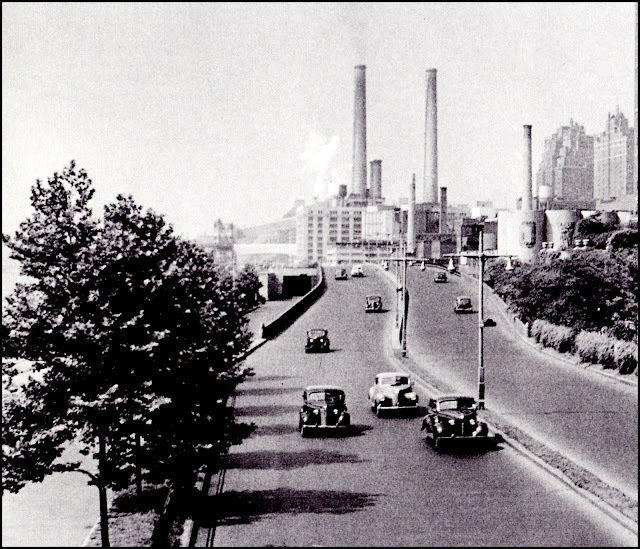 A 1940 view of what was then called the East River Drive, today known as the FDR. Top center, the meatpacking district, along with the two mega-smokestacks of Con Edison's steam plant. Tudor City, upper right corner.